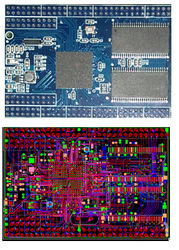 Argus is "System on Module" designer, specializing in TI, Freescale, samsung & Qualcomm SoC based solutions. Our products are designed to provide the best cost/performance ratio while maintaining the highest production standards required by our customers. Looking for System on Modules SOM ?